Paul Winter has chosen the interstate NOFA as the “cause” group for their upcoming Winter Solstice Celebration. This will help the NOFAs reach the 7,000 people who attend the event to learn more about our collaborative carbon restoration project (more information on www.nofa.org). The Winter Solstice Celebration will be held December 17-19, 2015 in four performances at the Cathedral of St. John the Divine in New York City. The event celebrates the spirit of the holidays with an extravaganza of music and dance. These performances mark the turning point of the year, a universal, ecumenical milestone when people gather together to welcome the return of the sun and celebrate light overcoming the dark. This year’s event will present special guests from Brazil: singers Renato Braz and Fabiana Cozza, along with a samba band and Brazilian chorus. The performances also feature seven-time Grammy-winning saxophonist Paul Winter, his 10-piece ensemble, powerhouse vocalist Theresa Thomason, and the 25 dancers and drummers of the Forces of Nature Dance Theatre. The venue is also utterly unique: the largest cathedral in the world, New York’s St. John the Divine is two blocks long inside and tall enough to house the Statue of Liberty. The Winter Solstice Celebration inhabits the entirety of this titanic space, taking advantage of its mystery and beauty to create a forest, or a deep night sky, where a giant earth globe spins from the vault like a tiny planet in the cosmic vastness, and the world’s largest gong rises with its player 12 stories high. Dave Chapman is the owner of Long Wind Farm in East Thetford, where he grows certified organic greenhouse tomatoes. 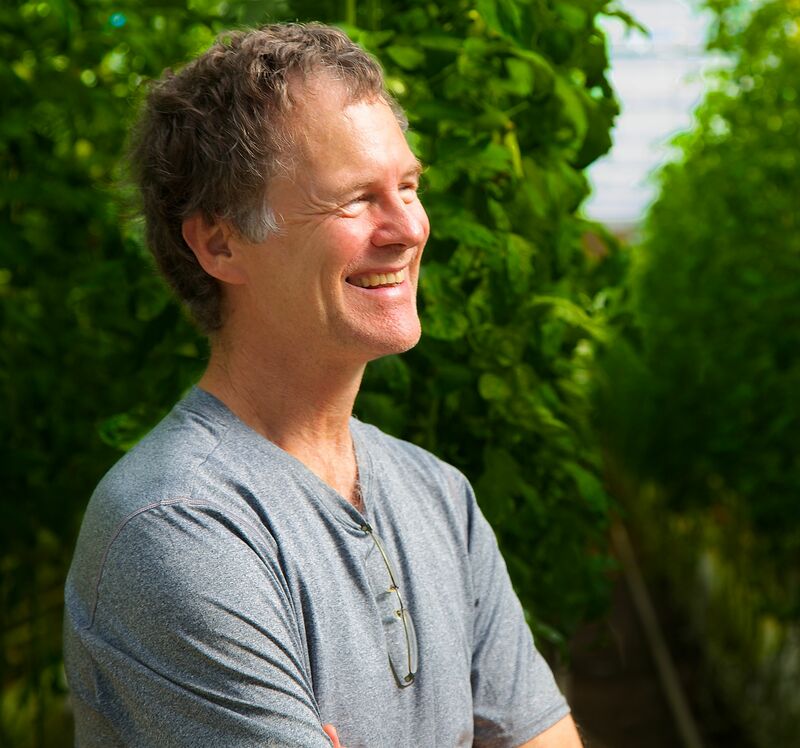 For several years, Dave has been speaking out strongly against USDA’s decision to allow hydroponically produced vegetables in organic certification. Although USDA’s National Organic Program (NOP) has allowed some hydroponic operations to be certified organic, Vermont Organic Farmers (VOF) does not certify hydroponically grown produce. With this year’s National Organic Standards Board (NOSB) meeting in Stowe approaching, I asked Dave to share some of his thoughts on why hydroponics should not be allowed in organic certification and the implications of this issue for organic producers and consumers. MM: Tell us how you got involved with the issue of hydroponics being allowed in certified organic. Can you summarize the problem as you see it? DC: I got involved back around 2009 when the NOSB was having public hearings on whether or not hydroponic growing should be allowed for organic certification. Then, about three years ago I began to see a LOT of hydroponic tomatoes pouring into the organic wholesale market. Many of my customers were cutting back their orders, as the low priced hydroponic tomatoes came in. Of course the hydroponic stuff was cheaper than real organic tomatoes. This had a pretty strong effect in Vermont, where Deep Root lost Whole Foods as a customer for their tomatoes. Whole Foods is divided into different regions, with each region having a separate buyer. The buyer for southern Connecticut, New Jersey, and New York decided to drop the soil grown organic tomatoes and go exclusively for Mexican hydroponic, based entirely on price. As a result, all the New England organic tomato growers lost that account. Organic certification was created to help eaters know what they were buying, and to make an open pact between the people who wanted to buy organic food and the farmers who wanted to grow and sell it. BUT we are now at a real crossroad. Certainly most organic growers would not consider a tomato grown on a little bag of coconut husk suspended 3 feet over the ground and fed entirely through an IV drip system to be organically grown. Nor would most organic consumers, if they were given a tour of a large glass greenhouse with thirty acres of suspended plants and not a speck of soil in sight. This is all so far from the ideals that organic farming was built on. Organic is based on protecting and enhancing the health and vitality of the soil. The problem is that organic consumers are mostly pretty far removed from how their food is grown. Go into any supermarket on the east coast. Most of them will have an organic section now. Even Walmart has an organic section now! That should be a wonderful thing. But virtually ALL of the “organic” tomatoes in any of these thousands of stores will be hydroponic tomatoes from Mexico. So if people are buying organic tomatoes in a supermarket, they could be buying factory food that has never touched the soil. MM: Can you explain the National Organic Standards Board’s (NOSB) 2010 recommendation on hydroponics and the findings on which that recommendation was based? DC: The NOSB spent several years really exploring this issue. They had heated debates, and they had public hearings. In the end an overwhelming majority of the advisory board voted for the recommendation, which clearly called for keeping organic vegetables growing entirely in the soil. This is not a debate about scientific studies on nutrition. This is about the core beliefs of organic agriculture. Feed the soil, not the plant. It sounds simplistic, but it is not naive. It is a profound alternative to what has come to be called “conventional agriculture”. I am not saying that all of the many alternatives to organic farming are bad or worthless. I am saying that organic farming is based on a particular “systems thinking” about problems and solutions, based on healthy soil. MM: Why has this issue resurfaced recently in the national conversation after being somewhat under the radar for a while? DC: The main reason this issue got passed over is that there was almost no hydroponic produce being sold as organic. The hydroponic growers accepted that organic certification was not available to them. In the last five years hydroponic organic certification has resurfaced in a big way. A small group of hydroponic growers, who had no interest in converting to real soil grown organic practices, suddenly realized that they could “become organic” by simply switching what fertilizers they dumped into their fertilizer tanks. It took the real organic farmers a few years to realize what was going on. In fact, most of them still don’t realize what is going on! Unfortunately by the time everybody gets it, “organic” might be reduced to “SORT OF organic.” In the end it is about how we farm, not about what we call it, but I am not thrilled with the idea of giving away something that we all worked so hard to build for so many years. MM: Do other countries certify hydroponically grown vegetables as organic? DC: A very few countries will certify hydroponic organic. But Mexico, Canada, Japan, New Zealand, and 24 European countries, (including Holland, England, Germany, Italy, France, Belgium, and Spain) all PROHIBIT hydroponic vegetable production to be sold as organic in their own countries. The USDA is almost alone in their reinvention of what organic means. MM: Why should consumers care about hydroponics being allowed in organic? What can people do to voice their thoughts or concerns on this issue? DC: That is the big question. Why should people care about real organic? That isn’t a five word answer. Organic farming is based on enhancing and cultivating the wonderful balance of the biological systems in the soil. It isn’t just about replacing chemical fertilizers with “natural” fertilizers. What I care about is learning to work with these infinitely complex biological systems. I think there is such a beauty and grace to organic farming. After 35 years as an organic farmer, I still know very little. I have been to many organic farms, and to many hydroponic farms. I greatly prefer the organic farms. That is what I want to support. This is where I want to work. This is who I want to live next to. This is who I want to buy food from. The organic I am interested in includes healthy soils, healthy food, healthy eaters, and healthy farmers. One of the great questions is “Can we move towards greater health in these systems and still have the farmers make a living?” The truth is that I don’t think organic food is more expensive, if we factored in things like health costs, which we all pay for. But the truth also is that health costs are not included at the supermarket cash register. Nor are government subsidies. Nor many other hidden costs of industrial farming. So organic food “costs more”. I see that people ARE willing to pay more for food that tastes good, that is grown safely for fair pay, and that will help them to stay healthy. We make these choices in our lives. We decide what is important to us. Most people now choose to pay a large monthly fee to be connected to the internet. No one imagined that 30 years ago. People are making choices to buy local organic food. They are voting with their wallets. The challenge is making that as easy as possible, WITHOUT compromising on what organic means. People don’t want to just buy a label as a placebo. They want to support a system. They want to find connection to that system, and the people involved in growing food in that way. I don’t know if we can save the word “organic”. But we can try. Sign the petition. Write to Miles MacEvoy and tell him you care. If enough people write letters to the USDA, they will have to respond. Write to your Senators and Representative. Tell your friends. Ask your produce managers where the “organic” food comes from, and how was it grown. Write the newspaper. Blog about it. In two years we have created much greater awareness. Let’s keep going. Only we can do it. No one else is going to fix this. If you believe soil is essential to organic systems, email Miles McEvoy, Deputy Administrator of the National Organic Program (NOP) at miles.mcevoy@ams.usda.gov and let him know. You can also sign the petition to Keep the Soil in Organic at http://www.keepthesoilinorganic.org. Just before the close of the 2015 session, both chambers of the legislature voted overwhelmingly to pass H.35 – a bill aimed at improving water quality in Lake Champlain and other Vermont waterways. After much debate among legislators and stakeholders, especially over funding, the bill provides around $7.5 million toward implementation and enforcement of new water quality regulations. Some primary funding sources include a surcharge on the state’s property transfer tax, fees on medium and large farm registrations, and fees on the sale of non-agricultural fertilizer and pesticides. In part, these funds will be used to pay for enhanced education, outreach, enforcement, and inspections by creating 8 new positions at the Agency of Agriculture and 13 at the Department of Environmental Conservation. While passage of H.35 set the stage for changes to Vermont’s agricultural and stormwater management practices, many details of the clean-up initiative will be fleshed out through a rulemaking process over the coming year. For example, one key provision of the bill calls for the State to develop new regulations for reducing pollution from farms, changing accepted agricultural practices (AAPs) to “required agricultural practices” (RAPs) since they will be mandatory under the new legislation. What exactly those practices will include has yet to be determined. As the State works toward implementation of the law, NOFA will be working to ensure that organic farmers are aware of any new requirements they may face, while also working with State partners to ensure that implementation is as practical and effective as possible. The legal battle to uphold Vermont’s GMO labeling law has often been described as a classic David and Goliath-style battle, wherein our small but mighty state is pitted against the gargantuan likes of the Grocery Manufacturers Association (GMA) and the International Dairy Foods Association (IDFA). As the legal challenge brought by the GMA and others begins to move through the courts, members of the VT Right to Know GMOs coalition are working to ensure that our battle ends with the same happy result as that famed parable. On April 27th of this year, the first significant blow was dealt to the GMO giants in the form of a ruling by the U.S. District Court for the District of Vermont. In the ruling, Judge Christina Reiss soundly rejected plaintiffs’ attempt to halt implementation of Vermont’s GMO labeling law (Act 120), dismissing claims that the law is unconstitutional and preempted by federal law. On May 6th, plaintiffs appealed the District Court’s decision, though a schedule for the next steps has not been set as of this writing. In the meantime, Act 120 is set to go into effect on July 1st of 2016, giving food producers, distributors, and retailers just over a year to prepare to put GMO labeling into action in the Green Mountain State. For more information and ongoing updates on the GMO show-down, you can visit the website of the VT Right to Know coalition or Attorney General Bill Sorrell. From June 16th to 18th of this year, the National Organic Coalition (NOC) will be holding its annual meeting and hill visits in Washington, D.C. NOC, of which NOFA-VT is an active member, is an alliance of organizations working to provide a united voice in Washington for the organic community and to maintain the integrity of organic food and farming nationally. This year, NOC’s annual fly-in will bring national stakeholders together to strategize on key issues like advancing organic integrity, growing domestic organic supply, and preventing genetic contamination on farms. While in DC, I will be meeting with USDA officials and Vermont’s Congressional delegates to discuss current issues that impact Vermont’s organic farmers and eaters. I look forward to thanking our federal representatives for the difficult work they do and will be asking them to continue to stand up for policies that work for Vermont’s organic food and farming community. 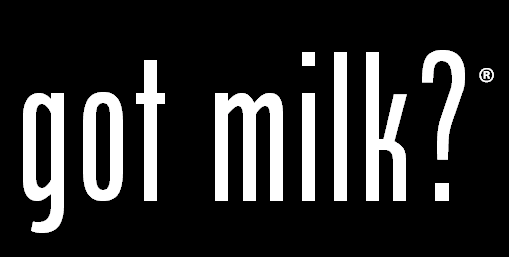 The “Got milk?” campaign has over 90% awareness in the United States and the tag line has been licensed to dairy boards across the United States since 1995. Whether you know it or not, you have probably seen marketing campaigns run by commodity research and promotion or “check-off” programs. Remember “Got milk?” and “Beef – It’s what’s for dinner”? Each of these marketing campaigns was created through what is commonly called a commodity check-off program. Currently, there are check-off programs in place for all sorts of commodities, from pork to popcorn, which are funded by producers and run by boards made up of industry stakeholders. In May, USDA began accepting proposals for a check-off program that would cover all organic commodities and require organic producers, importers, processors, and handlers above a certain income threshold to pay in to fund the program. The first proposal, called GRO Organic, was submitted by the Organic Trade Association (OTA) on May 12th of this year. It would raise an estimated $30 million annually for organic research and promotion. While $30 million per year sounds like a boon for the organic community, the idea has been met with resistance by some stakeholders. For example, some organizations claim that conventional check-offs have disproportionately benefited large processors and manufacturers at the expense of small and mid-sized farms. In fact, some feel that check-offs have directly contributed to the decline of small farms. Ineffective marketing is another concern. Because they fall under the USDA’s umbrella, check-off programs tend to restrict the language and claims used in promotion, which can result in painfully generic marketing. On the other hand, more funding for organic research is sorely needed and a check-off program could help increase the capacity for domestic organic agriculture. Will an organic check-off prove to be a boon or a burden on Vermont’s organic farmers? If you have thoughts, please be sure to share them with us by emailing Maddie Monty, NOFA-VT’s policy advisor or calling (802) 434-4122. In the meantime, we will be following the process every step of the way and will be asking for your input to help us inform our actions on this and other key policy issues.